True Neutral?? She really just cares about herself. Fountains, being brushed, cleanliness, the color white, things that sparkle or glimmer, anything shiny, clear weather, snow, fancy outfits, dressing up, dances and balls, getting what she wants, winning, marble, gems, jewelry in general, lace, ribbons, classical music, stargazing. Being disobeyed, anything gross or dirty, messes, people touching her stuff, music that isn't classical music, muddy and dark colors, rainy weather, losing, being made fun of, any of her things getting dirty or ruined, most animals, hard work. Evening primroses, pretzels, sausages, sparkling water, and whipped cream. Etoile is a member of a closed species known as Galaxaurs, created by FOCship! You can read more about them here! Etoile is very much a spoiled princess, prideful and haughty. She likes it when things go her way and becomes distressed when disobeyed or otherwise displeased, which isn't exactly hard to accomplish. It's also not hard to boost her ego, and she'll often accept sarcastic remarks and insults as praise. She likes everything around her to be clean, neat, pretty, and proper. Though she has a reputation of being a prim and prissy girly girl, Etoile is also a skilled battler and will only allow herself to be wooed by those who can match her combat skills. She doesn't really like fighting, though - it's much too dirty and exhausting - so when she's forced into it her usual anger makes her a force to be reckoned with. "Excuse me?! Who said you could approach me so casually?! Mind your place!" 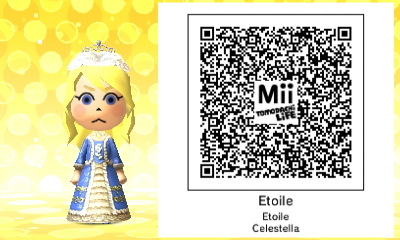 From birth Etoile took an interest in her planet - which she named Celestella - and decided she would personally rule it. Having been born into a wealthy family and having her very own planet meant that Etoile grew up with everything she could have ever wanted. She received top-notch education, formal combat training, had an endless line of suitors, and had all sorts of luxury goods. Life was good! ...And then, she wound up being tricked by a certain someone into turning partial ownership her planet over to the Space Police, who wasted no time in turning Celestella into a dumping ground for criminals that they couldn't keep locked up. In a matter of weeks Celestella quickly devolved from a place of elegance and refinement to a cesspool of crime and destruction. None yet, check back in later! As a Galaxaur, Etoile has both an anthro form and a feral form, though she spends the vast majority of her time in the former form. The orb on her tail reflects the condition of the planet, so she can use this to view happening throughout Celestella with the proper equipment. If the orb is harmed, it can can huge disasters on the planet itself, and if someone takes the orb they gain ownership of the planet and have total legal power over it. Etoile has formal combat training and is particularly skilled with spears and maces. She also has some magical abilities centered around stars and lights, which she usually channels through the weapon she carries around with her: an adorable but unholy combination of a spear, morning star, and staff.